D, C, Murray and I rent a car and go on an adventure around the island of Roatan. Once our tiny red bomb is delivered to the hotel, we pile in and head north to the end of the island. We want to go beach hopping and see how life is lived. We have left early enough that we get through Coxen Hole before the four cruise ships spew out their multitudes. The road is in pretty good condition, concrete, curvy and rolly. The vegetation is thick with palm trees, fruit trees, a corn field and that tropical greenery that I do not know the names of. Very lush. After about 2 hours, we reach Camp Bay, where the road is almost at its end, unfortunately, with high expectations of a swim, we find it too windy, seaweedy and choppy to swim. There is a small resort there and some houses. We agree that we would not want to stay way up there as it is too isolated. We turn around and make our way back, driving through a Garifuna town. The Garifuna are a mix of West Africans, Central Africans and Island Caribbeans. The town is well kept and has some restaurants that look like perhaps the cruise ship tours make a stop there. We have lunch at Cal’s Cantina, a recommendation from our dive master from Coconut Tree Divers. It is delicious and very well presented. The view is gorgeous and it is hard to leave and squish back into the red bomb. 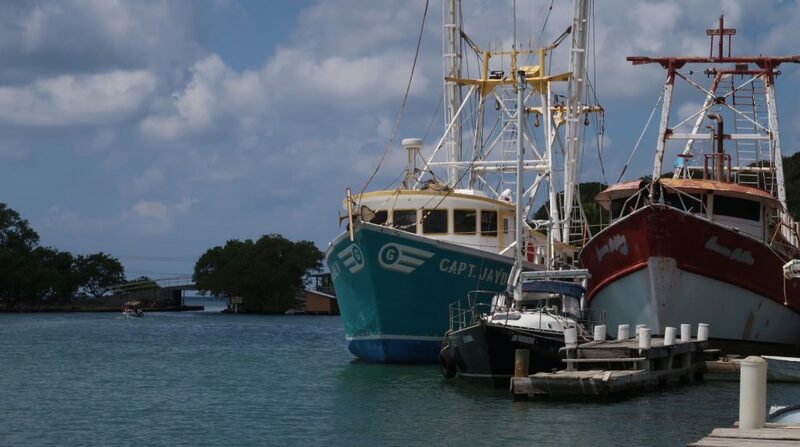 We cruise through the edge of Coxen Hole, getting caught up in cruise ship madness and come out in West Bay. 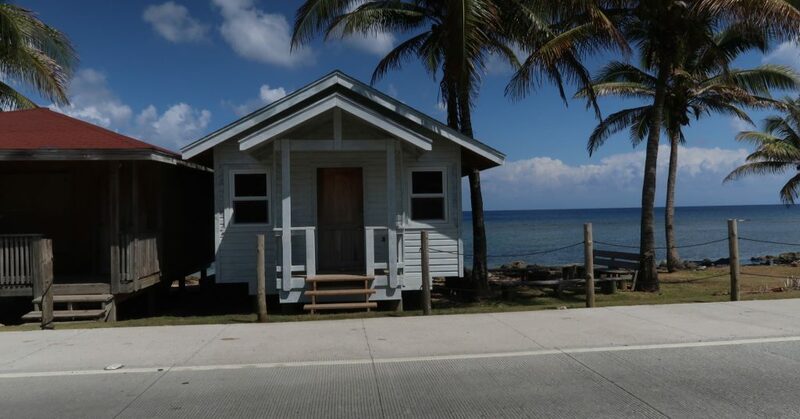 We have had no luck finding beaches, but we know this one will be great as we have driven past it on the water side going to and from dive sites. We spend an hour or so swimming, sunning and people watching. As I mentioned, the roads here are poured concrete. We encounter road construction on our route back into West End and it takes us a very long time to traverse a few kilometres due to one lane of road handling two directions. I think it takes a long time to construct a road as we see only one concrete truck at a time ready to pour. 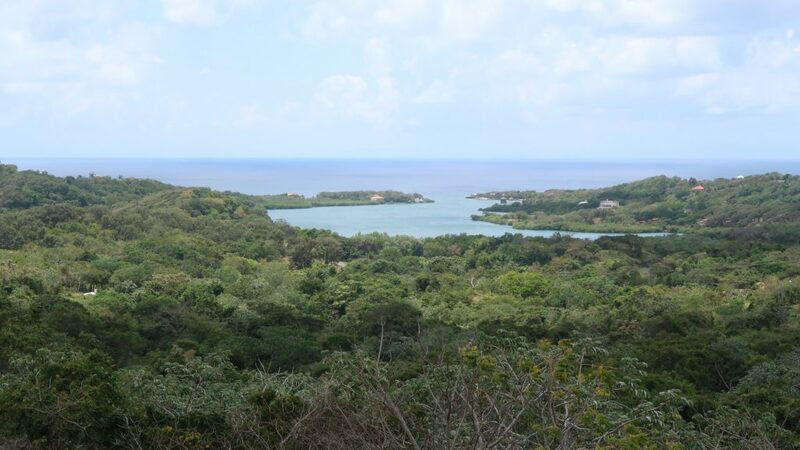 Our tour of the island gives us an appreciation of what life is like here on Roatan. Not sure I would live here, but would visit again. 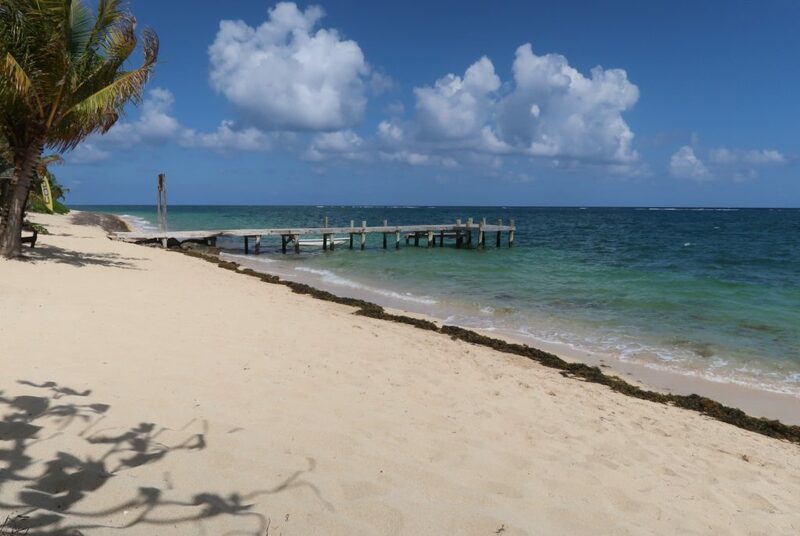 This entry was posted in Roatan, Honduras and tagged Roatan. Bookmark the permalink.